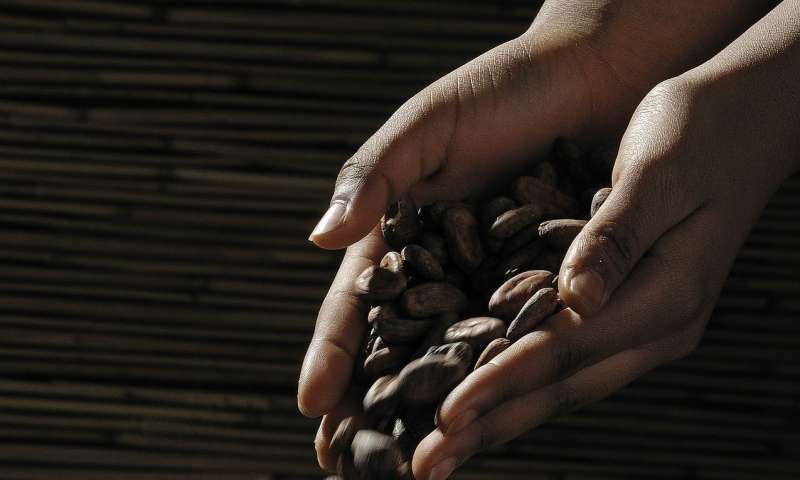 Can a dose of strong cocoa help people with Raynaud's disease? People with a circulation condition called Primary Raynaud's are being asked to help researchers at the University of Nottingham find out whether antioxidant compounds in cocoa can help alleviate symptoms. Raynaud's is a circulatory condition in which the small blood vessels in the fingers or toes constrict in response to the cold. It can be distressing as the fingers or toes turn cold, white and numb, followed by discomfort when the fingers turn blue and then a red hot flush upon rewarming. Primary Raynaud's is thought to affect up to 10 million people in the UK and can be difficult to manage and treat. The exact cause of the condition is unknown and women are more commonly affected than men. The research team at the University's School of Life Sciences are looking for otherwise healthy volunteers with Primary Raynaud's to help them examine the effects of antioxidant compounds known as flavanols that are found in cocoa. Leading the research, Professor of Metabolic Physiology, Ian MacDonald, said: "Previous studies in healthy people have shown an improvement in blood flow and blood pressure after consumption of cocoa flavanols so we want to test this in a group of younger individuals with Primary Raynaud's. We are setting out to assess the longer term effects of cocoa on symptom severity and the prevalence of symptoms in people with Raynaud's." The researchers need to recruit around 60 healthy people aged between 18 and 60 who report symptoms of Raynaud's to take part in the study. The participants will have a simple medical screening for heart rate, blood pressure, height and weight. Over the course of three months the participants will be asked to consume four capsules (containing either cocoa or placebo ) per day and attend the Medical School at the beginning and end of the 3 months to have the temperature regulation of their right hand assessed. The information recorded by the research team will be anonymised before it is published and will help them to design future studies aimed at helping people with Primary Raynaud's. The researchers are keen to hear from any individuals with Primary Raynaud's symptoms in the recruitment age range who are interested in taking part in the study via the contacts below.